Andrea Williams has been a practicing Licensed Massage Therapist for eight years. Originally from Kinston, North Carolina, but she has traveled to many places with my husband who serves in the U.S. Army. 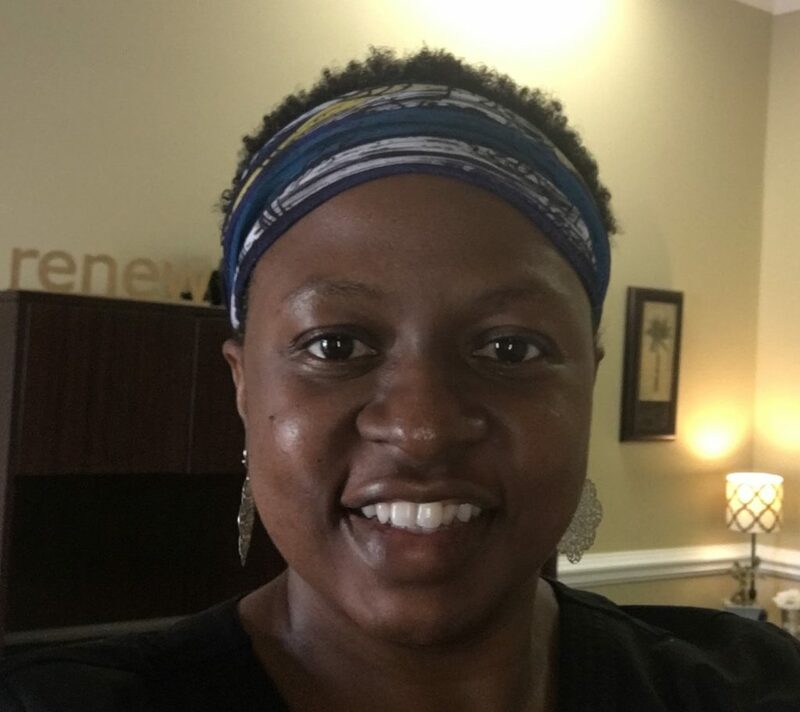 She attended massage therapy school in Newport News, VA.
My goal is to help my clients achieve the relief and results they are seeking through massage therapy. I take time to focus on the areas you need focused on the most. I would honor the opportunity to provide you a healthy, natural approach to a refreshed body, mind and spirit. Andrea will provide 5-minute massages during Sister Keepers’ No Greater Love Conference on Friday, January 27, 2017 between 6-9 pm. Her regular services include Swedish Massage, Deep Tissue Massage, Pre-natal Massage, and Aroma Touch Technique. Let her provide chair massages for your next event or spa party! Visit her website at http://www.breathestudio.massagetherapy.com/ for more details about her company and use the contact page to get in touch.